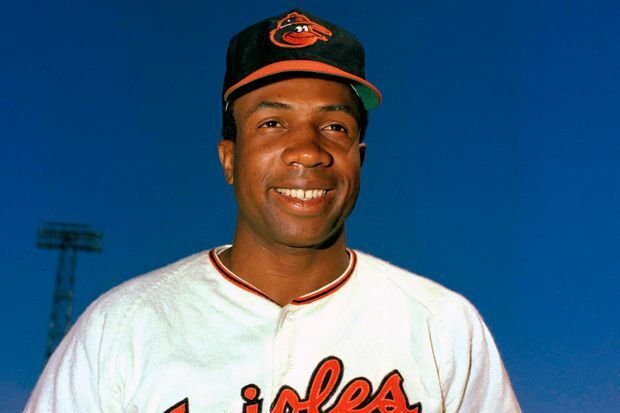 Baltimore Orioles outfielder Frank Robinson is seen in a 1967 file photo. Robinson, the only player to earn the MVP award in both leagues and the last manager of the Montreal Expos before the team relocated to Washington, died Thursday at 83. He had been in failing health and in hospice care at his home in Bel Air. MLB said he was with family and friends at the time.